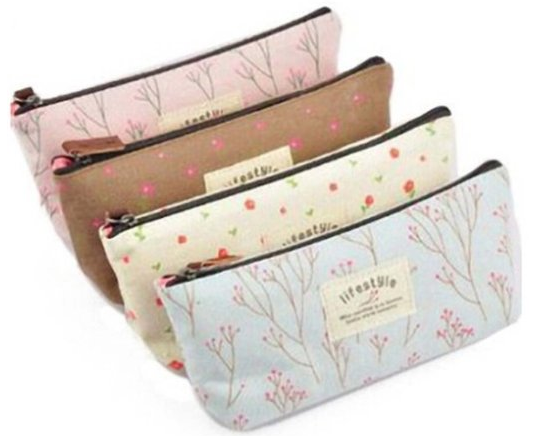 4 PC Canvas Pencil Case Set Only $3.58 PLUS FREE Shipping! You are here: Home / Great Deals / Amazon Deals / 4 PC Canvas Pencil Case Set Only $3.58 PLUS FREE Shipping! This is a really great deal both for travel and back to school! Get this 4 PC Canvas Pencil Case Set for Only $3.58 PLUS FREE Shipping! These bags would be perfect for sorting out pencils from markers for organization, for keeping first aid items in for camping and for cosmetics for traveling! This set of 4 is so low priced, they are less than a dollar each! Get yours NOW!